Ernesto has been working in the world of hairstyling since very young when he began helping in his father‘s salon in central Italy. At 19 he moved to London and became an apprentice with Toni & Guy. Within a few years, he was Art Director at the company’s famous Sloane Square salon and was later promoted to Creative Art Director at the company’s London Academy. His team won Artistic Team of the Year 11 years in a row at the British Hairdresser Awards. Having played his part in making Toni & Guy an international household name, Ernesto decided to seek new challenges as a freelancer. He has since gained a reputation as exceptionally original and versatile – teaming with some of the leading session hair stylists in the industry – and equally comfortable in mainstream commercial campaigns and in left-of-center creative projects. 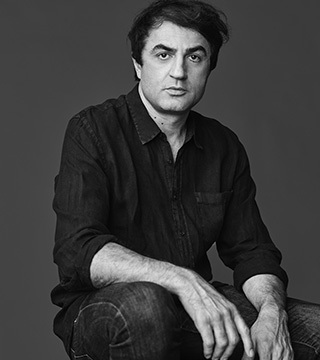 Working at fashion shows in London, Paris, Milan and New York, Ernesto’s designer clients have included Tom Ford, Vivienne Westwood, Alexander McQueen, Gucci, and Versace. His magazine clients include Vogue, Harper’s Bazaar, Vanity Fair, together with the indie publications, Hunger, Tank, and Nowness. His celebrity clients include Jessica Chastain, Tilda Swinton, Orlando Bloom, Jessica Biel and the members of Depeche Mode. And he has worked with many prominent photographers, such as Patrick Demarchelier, Olivier Toscani, Giovanni Gastel, and Rankin.